Have you been curious about the possible paranormal activity in the other buildings at the facility? Due to popular demand, we are having an investigation of the Medical Center, the Forensics and Geriatrics Buildings. The investigation time will be divided to ensure each group has equal time in each of the three buildings. This hunt will last from 9:00 p.m. to 5:00 a.m. Please arrive no later than 8:30 p.m. for registration. When you purchase a ticket for a tour/hunt you are reserving a spot for that specific date and time, just as you do when purchasing a concert ticket. Due to this, we do not offer any type of refunds. 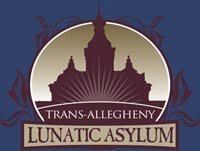 Tickets will be given to you at the Asylum, please bring your ID.